Taylor Observatory / Norton Planetarium is a program of Lake County Office of Education, located beneath the dark skies of Lake County, in Kelseyville California. The facility features a 36 seat classroom, a 16 inch research grade telescope under a dome, a 32 seat planetarium with a 6.2 meter (20 ft.) domed ceiling and an Epsilon Model Digitarium Star Projector System. The Taylor facility also boasts over 10,000 square feet of outdoor space and is well-equipped for students, teacher workshops and the general public to experience Science and Astronomy. 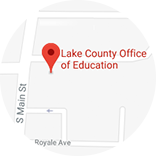 Schools field trips, scout groups, corporate or private events are by reservation through the Lake County Office of Education.